Paranormal Romance and Sci-Fi / Fantasy Romance are genres that I've been reading for over 20 years. During that time I've come across so many great books and authors. But some authors have really stood out and stayed with me. Today I have the pleasure of bring you a list of my faves and NOR favorites. Don't miss out on these authors. These authors have each blown me away with their world building and characters. I just can't get enough of them. 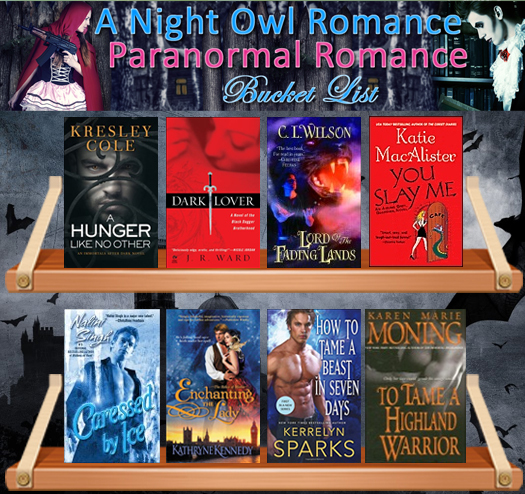 Many of these authors made me a paranormal romance die hard fan. Authors are in no particular order. You should try them all :). Feel free to share some of your favorites in the comments.